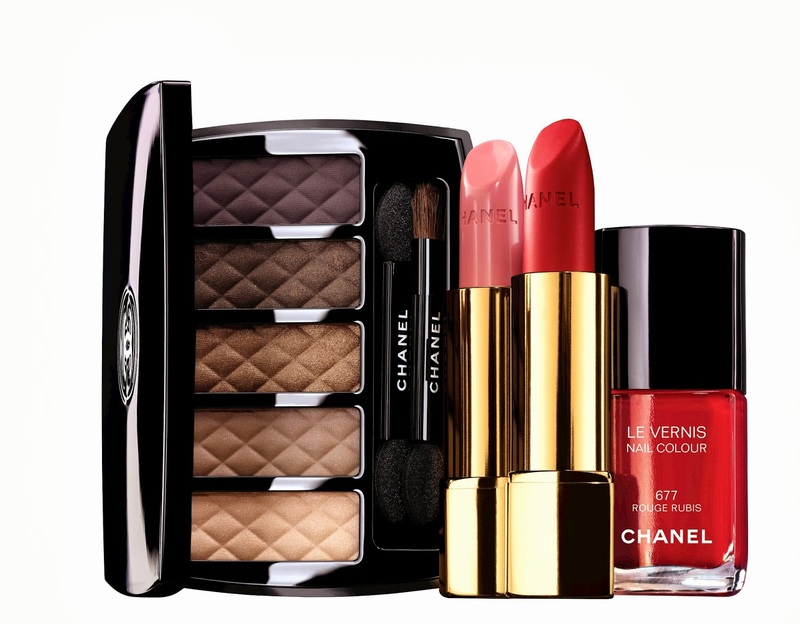 Here's a first look at several of the major parts of Chanel's Holiday line called Collection Nuit Infinie de Chanel. More info/images to follow . The collection will be available in October. One of my fav footwear brands has brought out something I really could use and I bet you can too. Fleece lined trouser socks and tights. 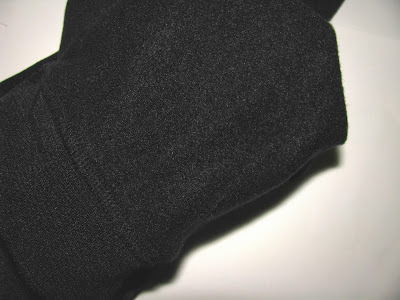 Last winter I managed to find a pair of trouser socks late in the season on clearance that had a brushed sort of lining . They were so welcome for the last bits of cold winter temps. These new opaque Kushyfoots have actual fleece in there, super soft , not too thick and so cozy. I have a pair of the trouser socks here. They do lack the ridged Kushyfoot comfort bottom but otherwise for any winter days these will be great. They are long, more like a knee hi , as they do come up to my knee so will keep legs as well as feet warm. They are thicker than normal but only a little more than a tight and have no bulk. They should work fine with most footwear. An extra way to keep tootsies warm during snow and wind chills? Yes, I think I can get behind that. Kushyfoot Fleece Lined Trouser Socks are $ 5.99 and Fleece Lined Tights are $ 8.99 . Keep a lookout for the bogo deals, Rite Aid especially seems to run them for a little savings. philosophy’s shower for the cure shampoo, bath and shower gel, has been around for over 12 years now and once again it's available with 100 % of net proceeds going to the Entertainment Industry Foundation's Women’s Cancer Research Fund. They've raised over 2 million dollars from sales so far according to the Fund. 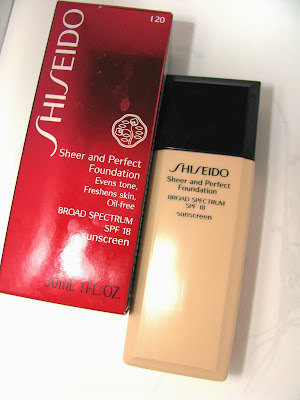 New to the foundation party is Sheer & Perfect from Shiseido. 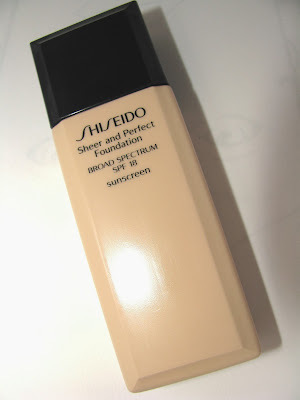 Sheer and Perfect is as you might guess , a lighter foundation . There's a bit more coverage here than what I think of as sheer. It's not barely there but not heavy either. You get light coverage with a light feel. The foundation is a a thin liquid that goes on light as can be. It feels weightless and blends easily into skin for a fresh , even skinned, brightened look. So you get that "perfect" part of the name although deep spots, acne or eye circles will still need concealer. Shiseido lists this as having their Reflect & Fit Powder built in – 3 types of optical powder complex ( green, blue and white) that cancels out uneven coloration. Sheer and Perfect is oil free and should be easily wearable by most skin types. 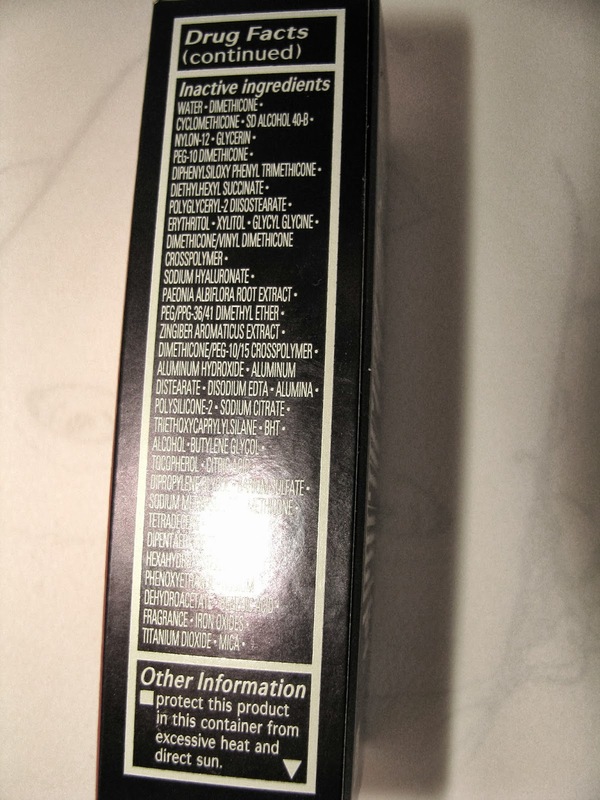 I did get oil breakthrough on my T Zone especially the nose within a few hours but this is not a matte foundation at all and so that's normal for me with any non mattes. If you have oily skin you'll definite benefit from a matte primer underneath. I did that on my 3rd test wear and got another hour before I needed a blot. While generally I like fuller coverage, over the years I've found I also like these sheerer ones if they're well done and have some coverage like Sheer & Perfect. For me, when the weather cools and my oily skin gets more normal I know I'll be wearing this a lot. It's the type that can become a winter staple. There is SPF 18 with physical and chemical blockers which I really appreciate. Titanium Dioxide comes in at 5.2 % . There is a large shade range here at 18, and my shade shown is 120 Natural Light Ivory. 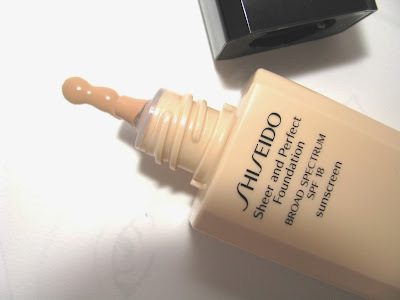 **This new foundation is what went on the model's faces at the Marc by Marc Jacobs fashion show this season. Sept 20th kicked off the new Kiehl's Since 1851 Rewards Program. I think it's pretty great for a brand to do rewards , we see stores do it but not beauty brands. Here are the details from Kiehl's on how it works and reward levels. Also anyone who joins by Sept. 30th will recieve 15 % off that day's purchase. It all comes at a great time to stock up on winter skincare ( the incredible body lotions) and holiday shopping soon enough. Kiehl’s Since 1851 Rewards will be points based: $1=1 point. Beginning Sept. 20, all customers can register for the program at all Kiehl’s retail stores in the US, and at www.Kiehls.com/rewards. There is no cost to join, and customers can join at any time; no purchase necessary. Kiehl’s Since 1851 Rewards is all electronic; there will be no membership cards. On Kiehls.com, when a customer is signed in and checks out with his or her purchases, the appropriate points will automatically be applied to his or her Rewards account. 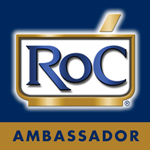 In-store, customers should identify themselves upon check-out as a Rewards member. Each level is based on points. Once a customer hits 300 points, they will automatically receive Kiehl’s Since 1851 VIP Rewards. · Additional surprises along the way! Ready for some holiday bliss? We can all use that no matter what time of year but come the holidays you can hand out Bliss and never break the bank. Three new duos are ready for stocking stuffing and gift giving and are all under $ 20. One is Mistletoe Must Haves. 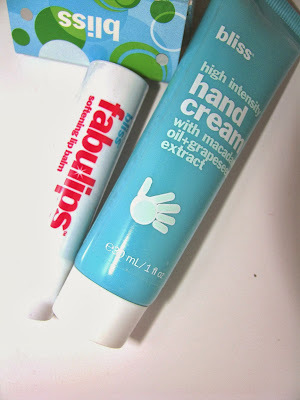 Paired up are Fabulips and a 1oz High Intensity Hand Cream. 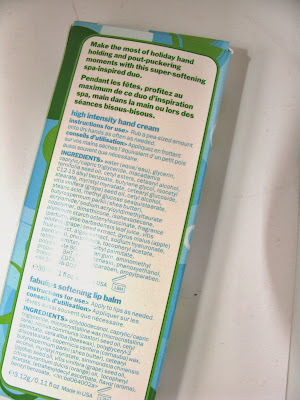 If you haven't tried Bliss Hand Cream, well it's good. Loaded with shea butter and macadamia and grape seed oils, this little tube is perfect to stash in the desk, purse or kitchen drawer for a quick grab. Fabulips is pretty hydrating too. It feels light on but packs moisture for winter weary lips with castor and grape seed oil as well as shea butter. There is the lightest of taste /scent, nothing strong and a bit vanilla citrus like. It's also colorless and has a little sheen. 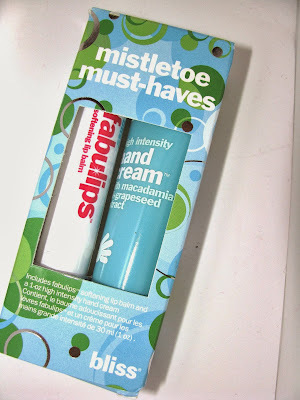 Mistletoe Must Haves is $ 12. Also available , Winter Wonder- Hands with High Intensity Hand Cream and Blood Orange & White Pepper Hand Cream at $ 12 or Merry Kiss'-mas with Peppermint Glossy Balm and Vanilla Mint Glossy Balm at $ 18. 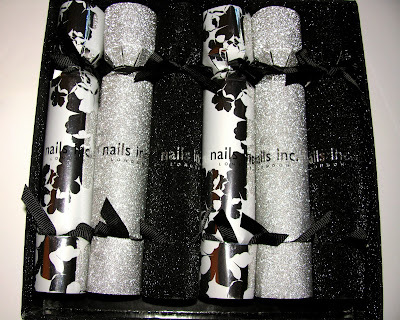 Quite possibly the cutest holiday beauty gift I've seen yet is this set of Christmas Crackers from Nails Inc. 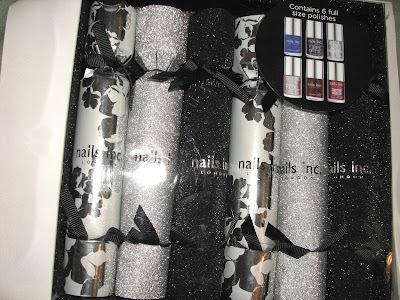 Instead of a paper hat and trinket like traditional crackers, you get a full size nail polish in each cracker, four being new shades just in for this set. 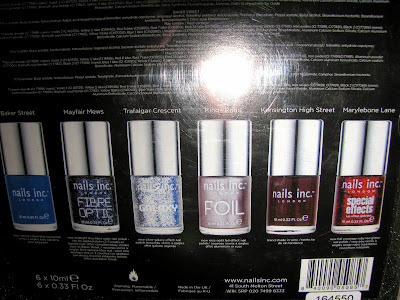 I especially love the rose gold foil Kings Road. It's a beauty. I can't imagine too many giftees who wouldn't simply love this. 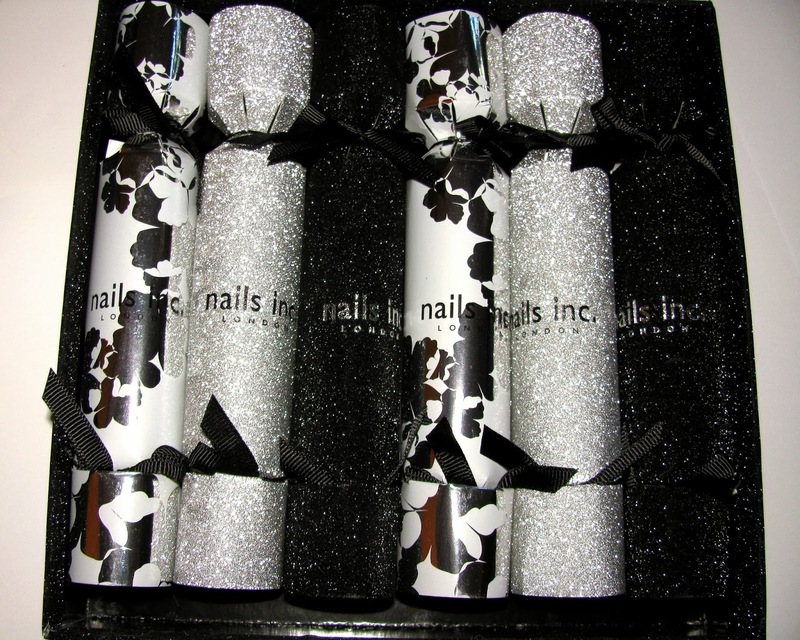 You can give the box set or break them up and add them to stockings, gift bags or hang from a ribbon off a larger gift box. 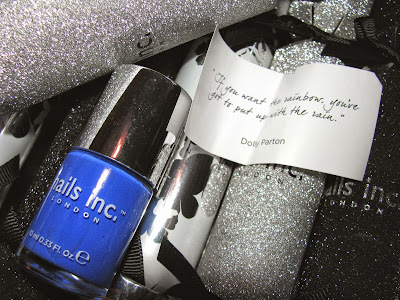 Each cracker also has a little fashion & beauty wisdom quote tucked inside. There are 6 crackers and at $ 38 for the set that breaks down to $6.33 each. The set will be available at Sephora in October. 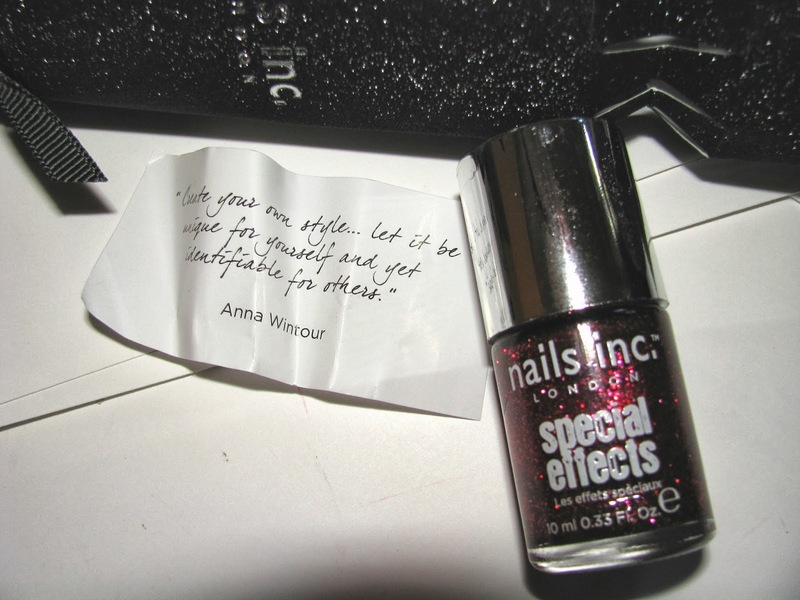 Marylebone Lane- New full coverage red glitter. If you've followed Guerlain's fall launch , Violette de Madame, you've seen a lot of notice go to the new eye duos ( which are really lovely) and the blush palette. 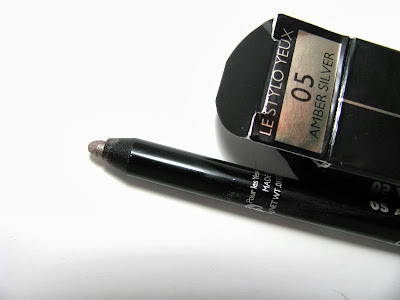 A sleeper in the line is this new eye pencil , one of five new shades, called Amber Silver. 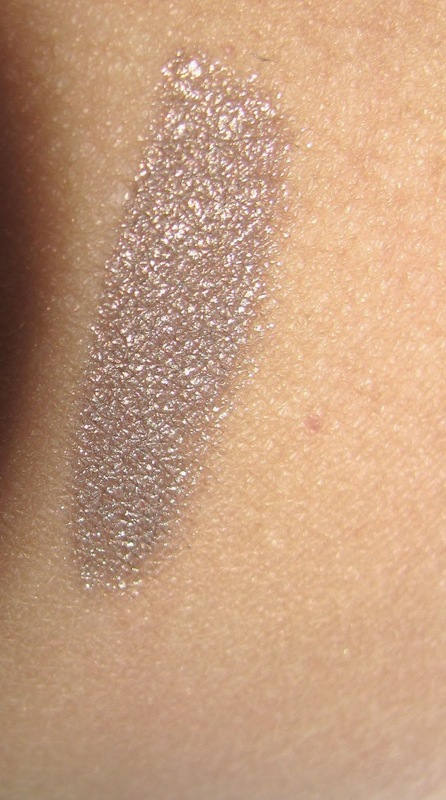 Amber Silver is a little different , at least from the multitude of eyeliners I own. It's not just silver but a taupe , deep beige tinged silver. That's a combo that comes out very pretty . Think metallic mushroom. 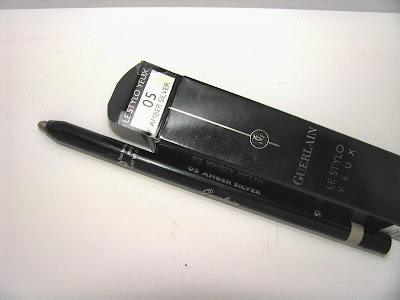 This shade brightens eyes and since Guerlain's eye pencil formula is so soft and silky it can easily be blended in to use all over the eye if wanted. 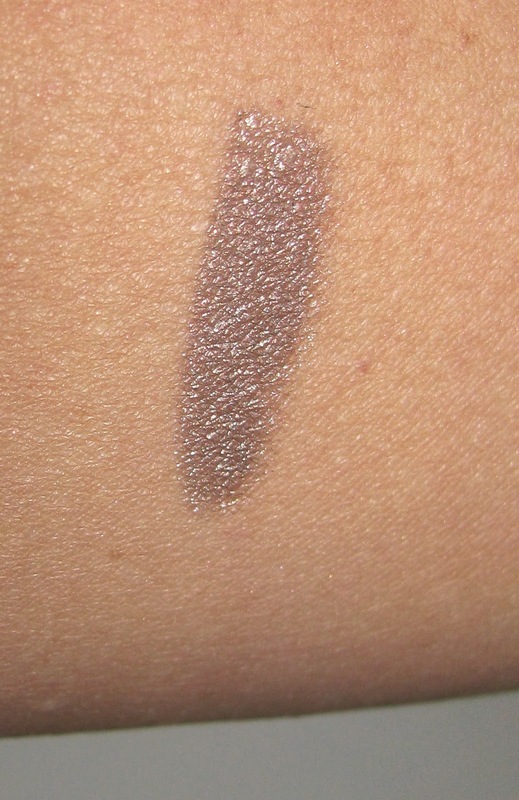 The pigment is rich and one line gets the job done. It also wears well and is water resistant . Guerlain Eye Pencils are $ 30 each. A new Chanel nail shade debuted at tonight's Emmys. It's called Rose Moire and I hear it's part of a new lip/nail collection coming shortly. It seems to have already gotten some press overseas and might be available there sooner. Not sure on that but I can tell you it's a soft rose metallic . Chanel Celebrity Manicurist Ashlie Johnson did Rose's nails for the look and offers this tip - "When using a metallic polish like this one, don't shake or roll the bottle before application. Doing so can create air bubbles, which show up more in metallic polish than other finishes." 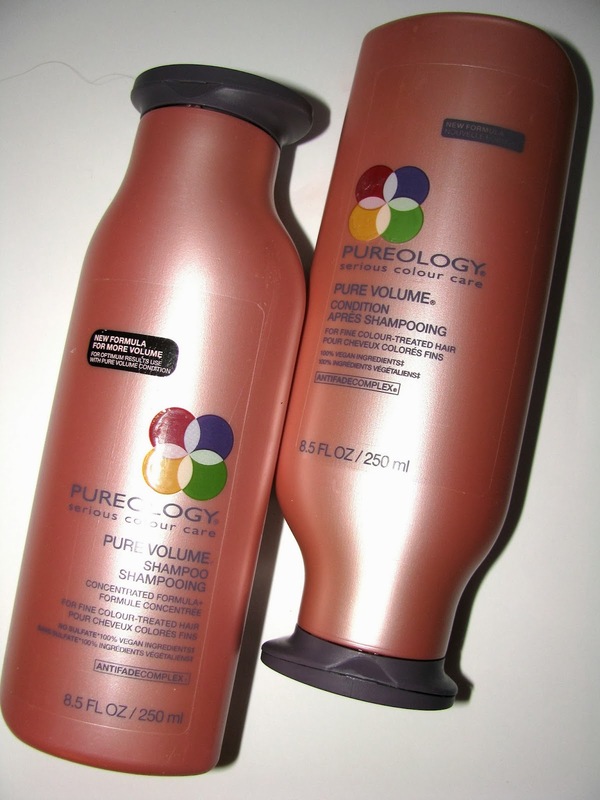 Pureology, the well done ( their Hydrate is one of my top shampoos), vegan and hair color friendly line ( no sulfates and their registered Anti Fade complex) recently added a new version of the Pure Volume line . Consisting of an updated shampoo and conditioner and a couple stylers these aim to boost your mane. Mainly I've used the shampoo/conditioner combo. Now I do have thick hair so some volume is built in , but this gave it a little lift . The Mom on the other hand has thin limp hair and really went for the shampoo especially. She found it did a nice job of helping her hair look less limp and more full. 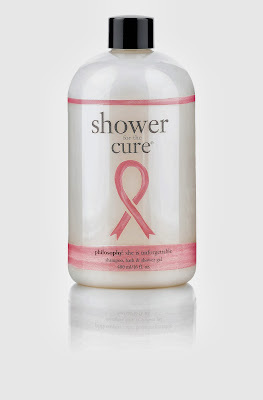 The shampoo isn't one that is ulta moisturizing. 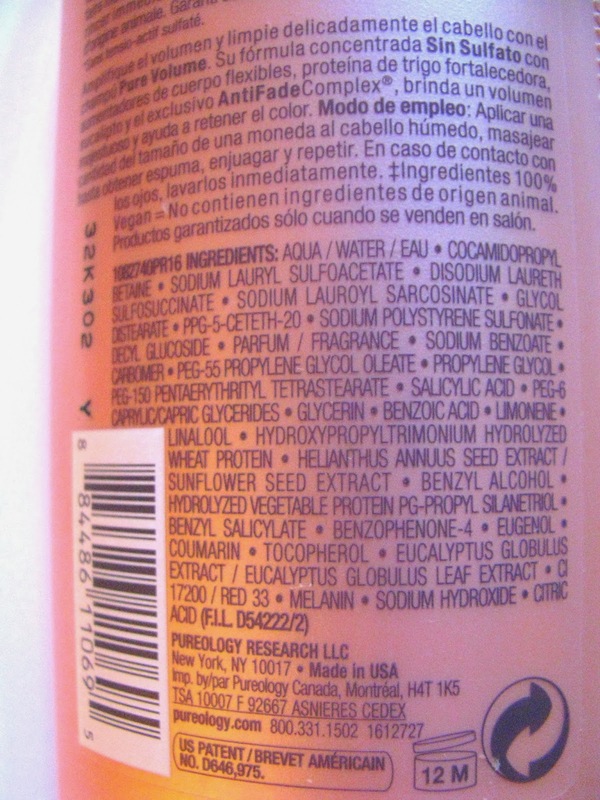 You'll definitely need conditioner as it it really cleans but isn't overly hydrating . The matching conditioner is a light/medium one so for normal hair it should be good, anyone drier will need something heavier. There is also a nice root lifter , Pure Volume Levitation Mist, to help when drying hair to lift without breakage and thicken strands, an important part to getting more volume. **I noted that on their website it says that the old version, a concentrated , heavier moisture formula, will return to shelves in October. 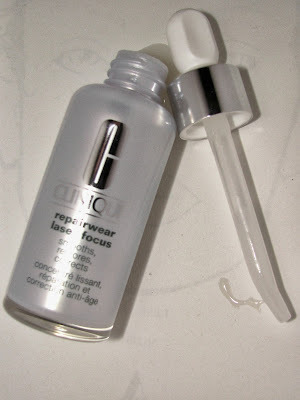 Kudos go to Clinique's new Repairwear Laser Focus. This new serum is a new formula and firms up skin , lightly hydrates and smoothes . After a couple weeks of testing, it's giving good results. It gives some radiance to skin and is a good choice for whipping skin back into after Summer shape. 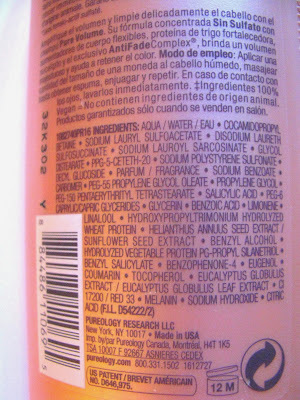 The new formula is said to have twice the skin smoothing ingredients of the previous version. 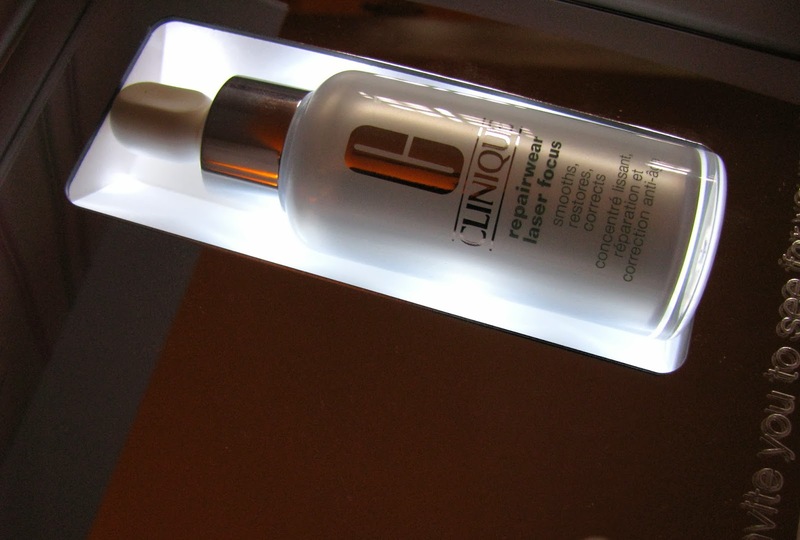 The serum itself is slightly thick but very light on and absorbs easily. You can use day and night not just on face but the eye area as well. I have yet to see a full ingredient list but the sample came in a neat light up display, minus the box where the ingredients would be. So check your local counters for that. 1.0 oz is $47.50 , and larger sizes are available. The Fall collection from the RiRi Loves MAC collab is about to hit stores. I wasn't as into the Summer one , but I am all about the golds and coppers so this one has caught my eye. I'm not much of a Rihanna fan and had my doubts when this collab was announced. I enjoy many of her songs, how she conducts herself, not so much. But we're about makeup here so let's look at some. 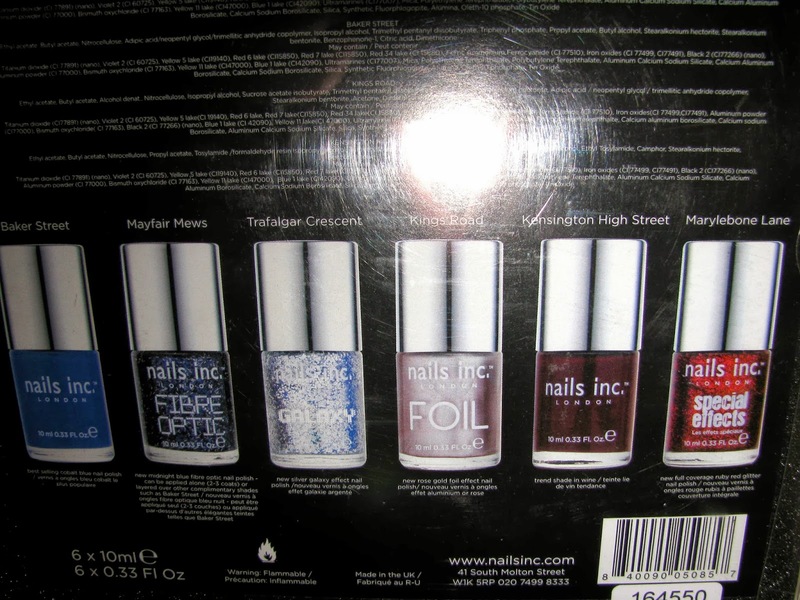 New is a gorgeous, I will be wearing it a lot, fiery orange with gold flecks called Who's That Chick ? I could do without Chick in the name or any name, but the lipstick is a beauty. 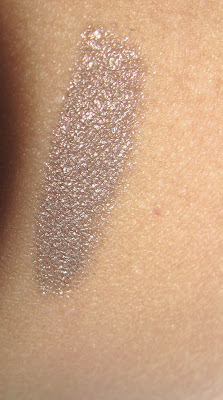 Lots of pigment in a high frost formula with a little gold shimmer. 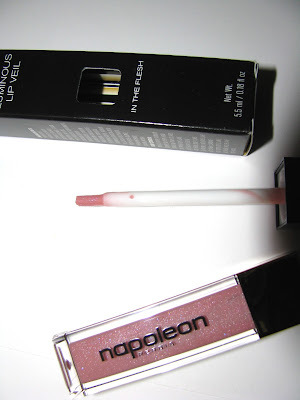 It's kind of Studio 54 for your lips. 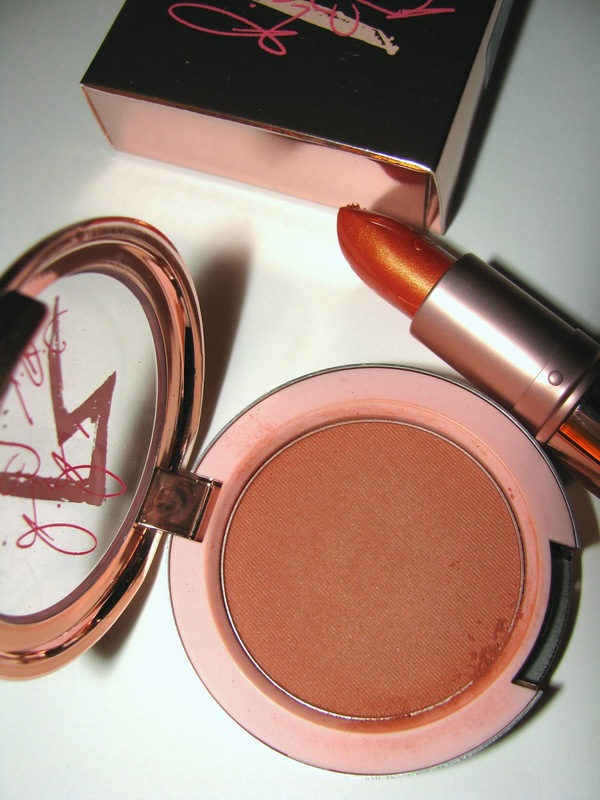 Bad Girl Gone Good is the new blush which happens to be a perfect complement to the lipstick. 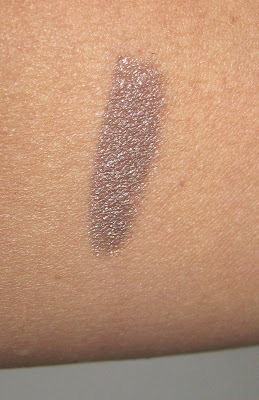 Medium warm copper with slight shimmer ( formula is satin) this keeps a bronze look going into fall . It's medium pigment . 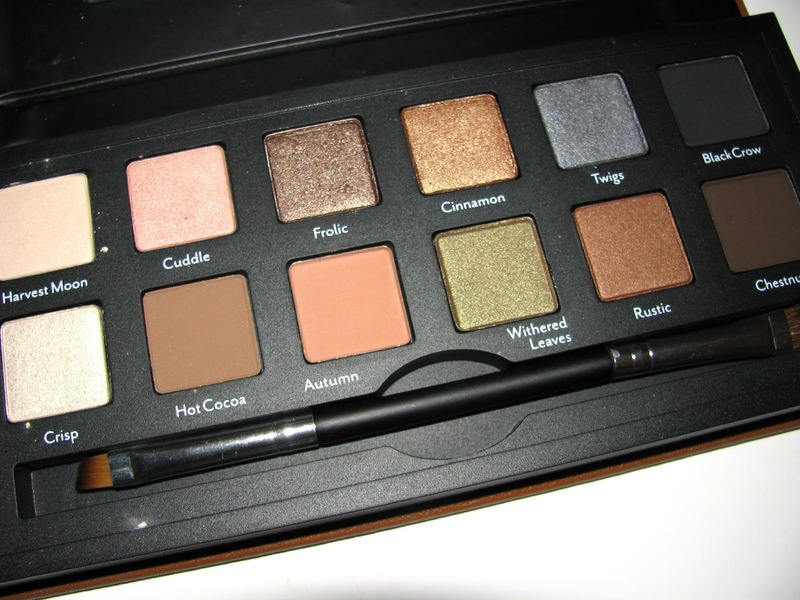 It's not sheer but not dark and goes on lighter than the swatch look as I layered to get good pigment for the image. All these come in new rose gold packaging. Even old favorites like Extended Play Lash Mascara and Liquid Last Liner in Pointblack get a new packaging look. The full RiRi Hearts MAC Fall line will be on counter on September 26. 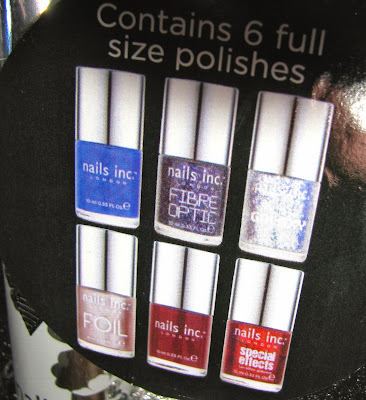 Have you seen this paint on version of See by Chloe? 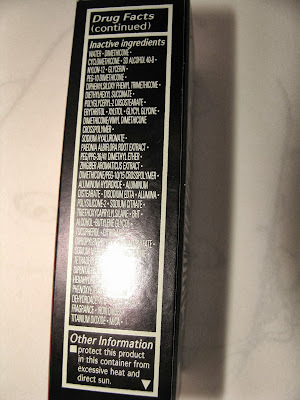 It's pretty neat with a brush to apply scent as opposed to spray or rollerball. I love rollerballs so this looks great to me as well, although I'll admit I am not a huge fan of the See by Chloe scent . I wonder if we'll see more fragrances try this ? The size is .5 oz so it's portable as well. Find at at all fine fragrance counters for $ 35. With the temps dropping slowly , fast in some places, it'll be time to grab something to warm up in. 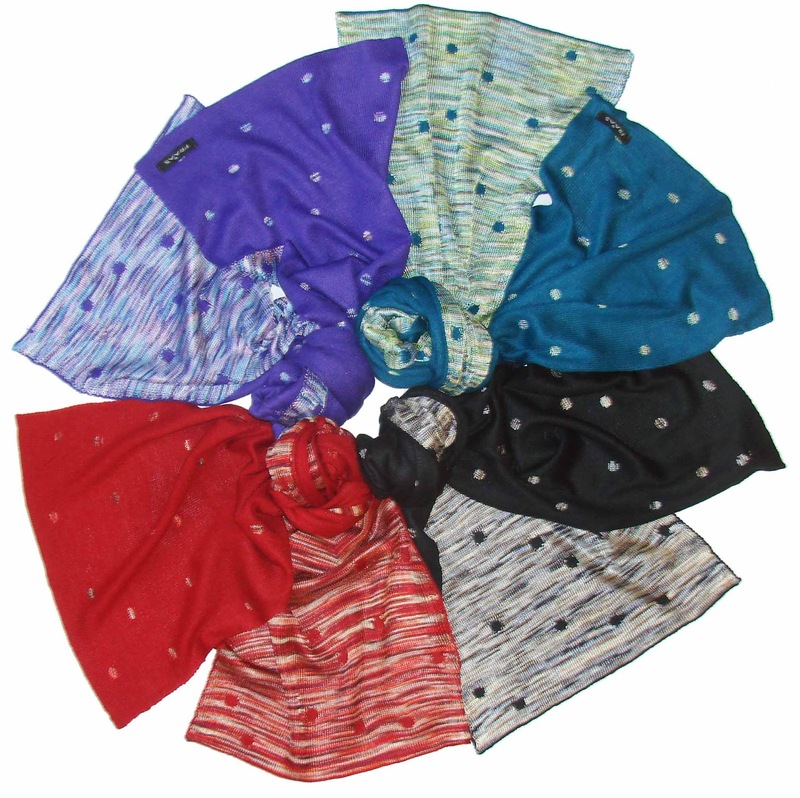 Scarves are still as hot as ever and always a nice accessory to give an outfit a little boost. 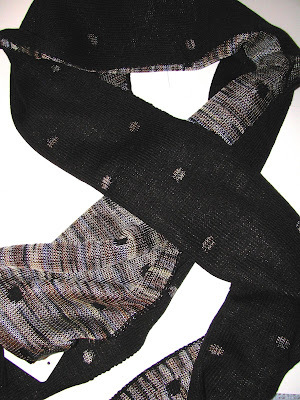 FRAAS has a new Fall line out and this super soft reversible scarf is part of it. Made from viscose and acrylic, it has a great feel to it and is lightweight but not thin. It's also quite long at 14 x 72 inches so it can wrapped several times or left to dangle alongside a great coat. There are four colorways available, petrol, black, dark red and purple. Each retails for $ 40. 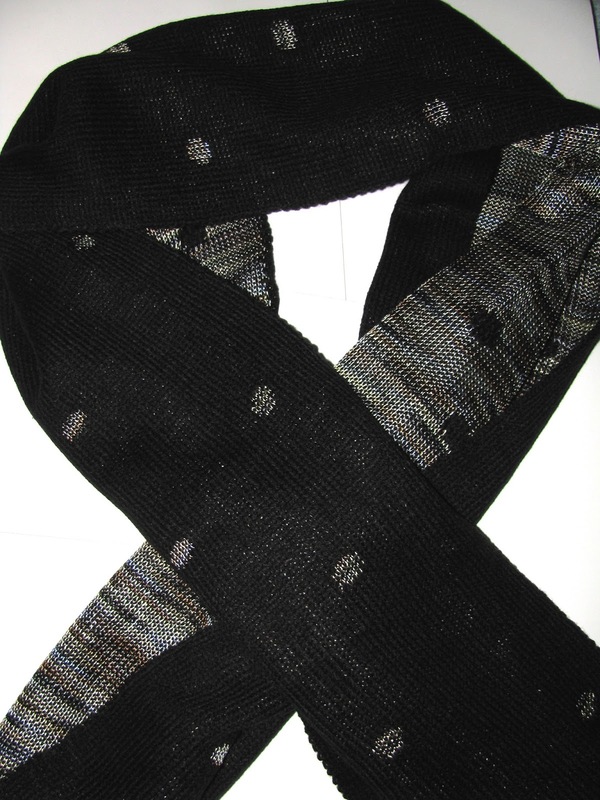 FRAAS scarves are available at Amazon.com and fraas.com . During the month of September Votre Vu's French Accent's lip color collection is donating $1 from every sale to the St. Baldrick's Foundation for the 46 Momma's campaign to treat and end pediatric cancer. 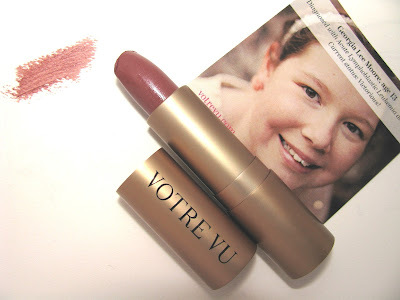 The LE Color It Forward Lipsticks come in a new gold tube with shades running pale to deep and enclosed in the box is a photo of a child who has been helped. 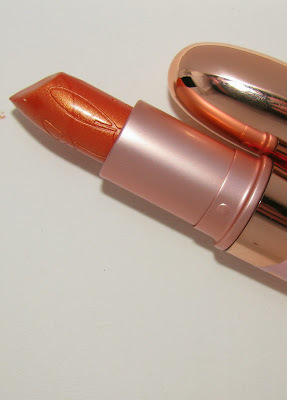 French Kiss Moisture Riche lipsticks are quite creamy with good pigment and a minty vanilla taste along with SPF 8. There aren't too many lipsticks with SPF out there so that's a nice extra. Shown is Babette , a medium pink with hints of brown and light shimmer. We're about halfway through Ulta's 21 Days of Beauty ( How did we get to September , let alone the mid point ???) but there's plenty of time to get in on the deals. It's rare as I am sure you know to see sales on high end cosmetics and skincare. 21 Days of Beauty brings daily deals at Ulta on all the top brands plus some extra fun things like the upcoming Twitter chat with Maureen Kelly , founder of Tarte . Thursday the 19th beginning at 2pm CST, join Ulta using #ULTA21 to jump in and have Maureen answer your beauty questions. In the meantime keep a lookout for the daily deals. Today's will be on Napoleon Perdis . 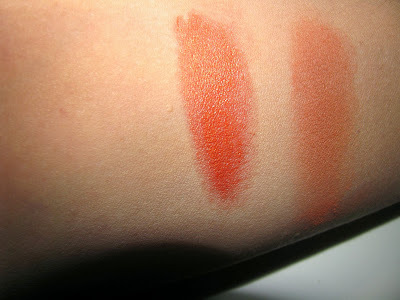 His Devine Goddess Lipsticks and Luminous Lip Veils are 50 % off , making them $ 11.50- $ 12. 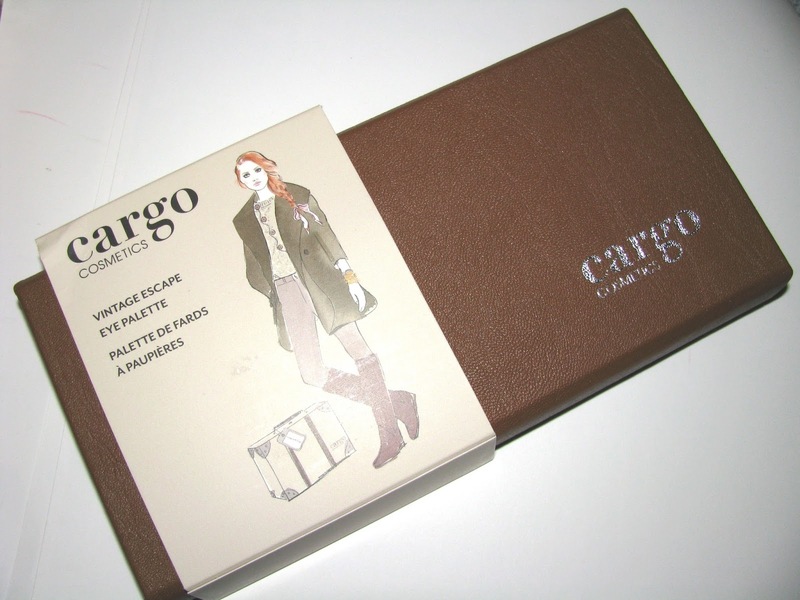 On September 26th you can grab the new Cargo Vintage Essentials Eye Palette for $ 20. Regular price is $ 39. I have just seen this myself and it's a nice one. Lastly, like their Facebook page and register for a chance to win one of their huge gift bags filled with all full size products including a Clarisonic Mia. Ulta has the whole calendar online for all the deals each day .